Designed, Engineered and Tested in the U.S., the new TufBrush™ Stringer Bead tops all the tests we put it through, with twice the life and 15% better material removal than the closest tested competitor. The combination of user feedback, experienced engineering and innovative design advances has made the TufBrush™ a cut above. 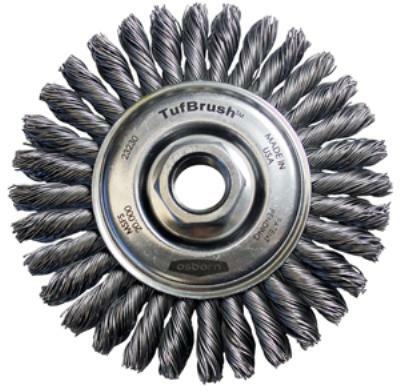 Made in Richmond, Indiana, by a company that’s been around for over 130 years, TufBrush™ gets the job done. In real-life testing in the field, TufBrush™ lasted longer, and did more, meaning the job got done quicker.